Very Good. 600 p. Full colour. 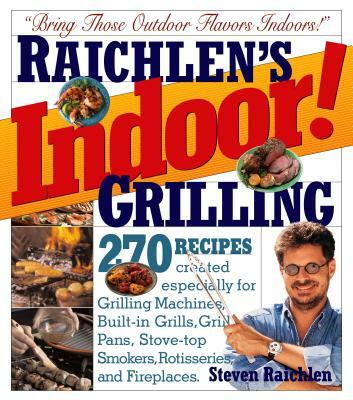 In a marriage made in BBQ heaven, Steven Raichlen, America's grilling guru, brings his mastery of live-fire cooking to the world of indoor grilling. With this collection of tips and more than 300 wonderful recipes, neither snow nor rain nor gloom of apartment regulations will stay the cook from achieving spectacular grilled flavors! 16-page color insert.